What is cuter than plain old Easter crafts? Why, Easter crafts for toddlers of course! These are SO fun for parents to do with their kids. 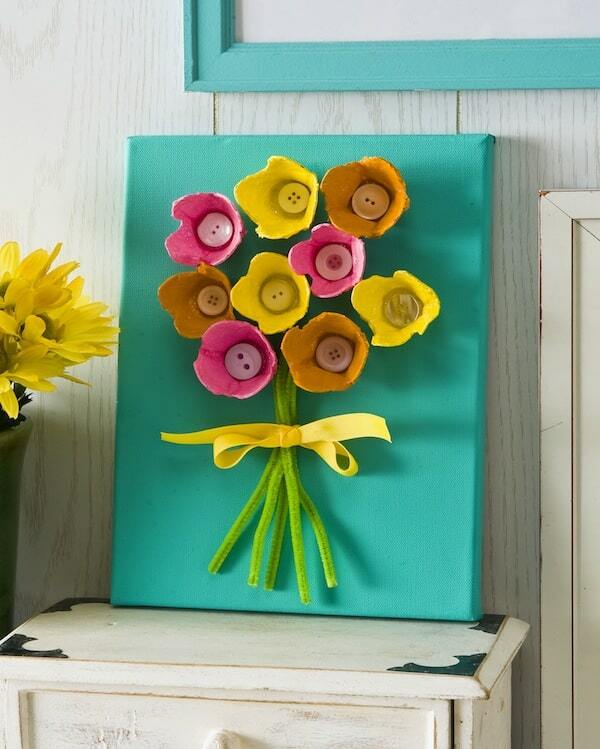 What is cuter than plain old Easter crafts? Why, Easter crafts for toddlers of course! Children absolutely love crafting for the holidays, and Easter is no exception. When I was little, one of my favorite craft supplies (especially for this time of year) was pom poms. You can make bunnies, chicks, and much more . . . and they are so soft! 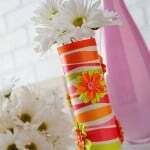 Yarn, clay, and tissue paper are other fun supplies that children can use to make Easter projects. Then, once you get those supplies, it's time to get creative. I've rounded up the cutest Easter crafts for toddlers ever! Check them out below. 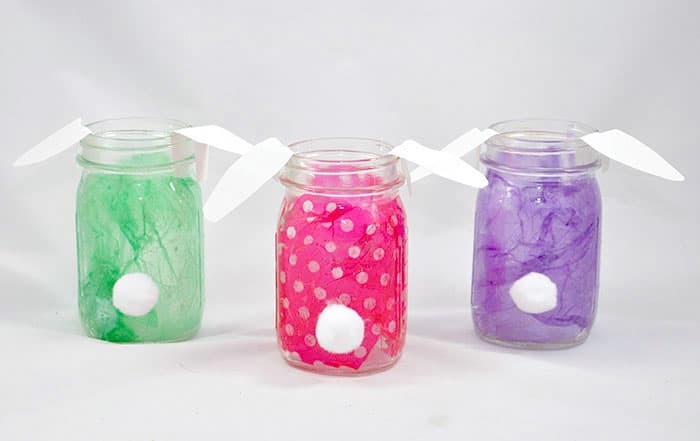 Blow up several balloons and have your little ones dip string in Mod Podge and wrap it around the balloons several times. Let dry overnight. The next day, pop the balloons and you'll be left with your "eggs" to hang on a string. If you are looking for unique egg decorating ideas with your children, these rainbow eggs are for you. The colorful cracks are so neat, and kids love them! Paint clay pots with base colors of paint, then add cheeks with paint and 1 3/4" spouncers. Add face details with markers and wiggly eyes with glue. Then add ears or wing details with craft foam or pipe cleaners. So cute! Use pieces of tissue paper to cover mason jars, then add ears and a tail! Toddlers will really enjoy tearing up the tissue paper. 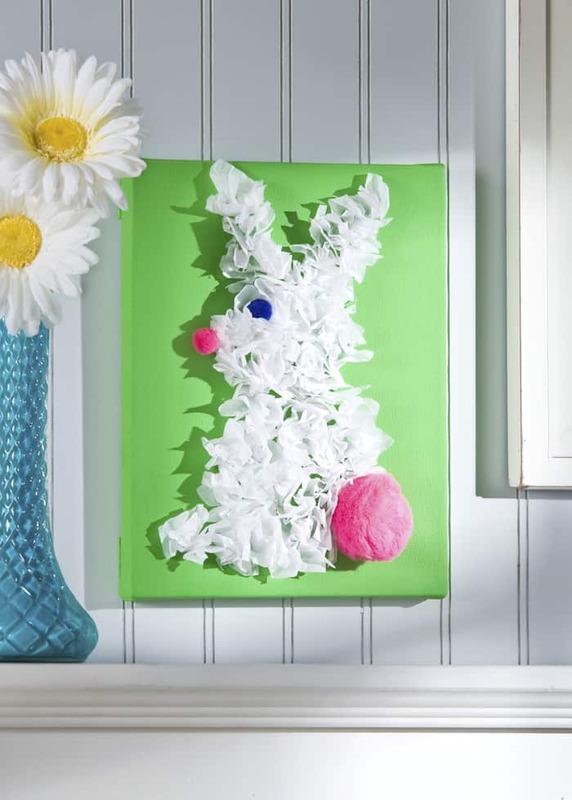 Draw a bunny silhouette on a canvas and then fill it in with small slips of tissue paper wrapped around your finger and then stuck in glue. Finish it off with pom poms for the eyes, nose, and tail. You can make this easy Easter banner out of old paint chips – and children will love it; this project teaches them to weave! 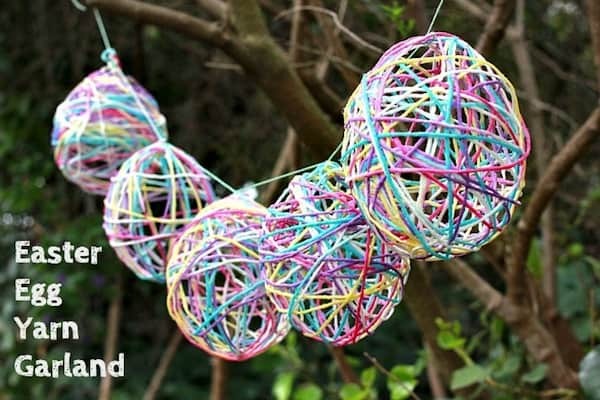 Which of these Easter crafts for kids will you try with your little ones this year?